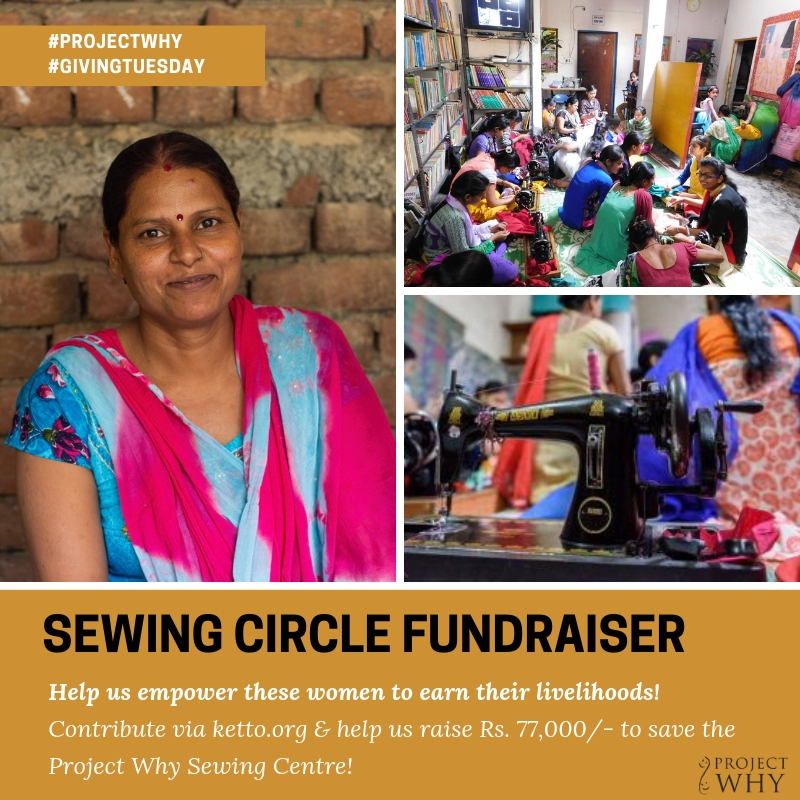 Last week we launched our very first online fundraiser, to give wings to Renu’s dreams and help her empower more women just as she empowered herself by joining the Project Why Sewing Circle over six years ago. Today Renu is keen on enhancing the resources of her sewing circle and asked for new specialised machines knowing that these would help her students get jobs in the garment industry. This fundraiser is just for that! But that is not where the story ends as the fundraiser has engendered its own set of miracles and brought together many people from the world over who have teamed up to make it a success. First and foremost I would like to thank Damyanti Biswas who came up with the idea of this fundraiser. Corinne Rodrigues and Shailaja Vishwanath gave her the support she needed for a blogathon, a concept I knew little about. 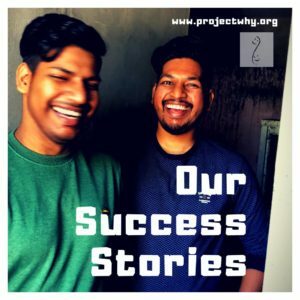 Many bloggers have since written about Renu’s dreams in order to take Project Why to new heights: find their stories in the links on this post. Kasturi Patra and Shalini Baisiwala found time from their busy schedule to come and see us at Project Why. Kalpanaa Misra visited us too and took some lovely pictures. Our deepest gratitude to them. 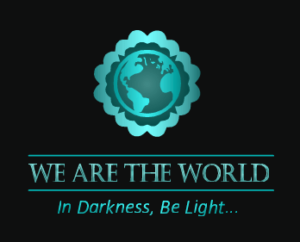 And a special thank you to Kasturi Patra for having helped create the video for the fundraiser. A big thank you to Fabian Baggeler for being our videographer and photographer and for working long hours to get things ready on time. We would also like to express my gratitude to the Ketto team who were most helpful in sending the fundraiser online in record time! A special thank you to Akshay and Zaid from Ketto for making this fundraiser go on for GivingTuesday! I am deeply grateful to the Project Why team under the able stewardship of Dharmendra Beniwal and Rani Bhardwaj for having motivated the team to take ownership of the fundraiser. It is their long term dreams that we hope to fulfill with help from each one of you. A huge vote of thanks to all those who donated and shared and helped us reach 70% of our target in a short time. You all have already come together to raise 61,000 Rs out of a target of 77,000 Rs that would support Renu’s Project Why Sewing Circle. Please continue to support and share the fundraiser . No amount is too small, and every little bit would help make Renu’s dreams become a reality. What do you think of women empowering each other to lead independent lives? Do you have a sewing circle in your community? Do you know of a sewing circle that works with underprivileged women? Would you like to volunteer at Project Why and teach the sewing circle a few useful skills? 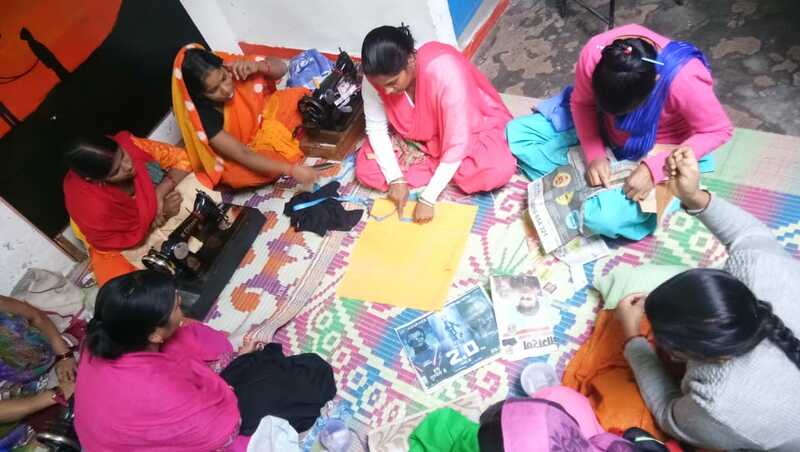 And if journeys like that of Renu interest you, please consider supporting the Project WHY Sewing Circle Fundraiser, where we’re trying to keep the dreams of a few brave women alive.